How can you best prepare for labour? 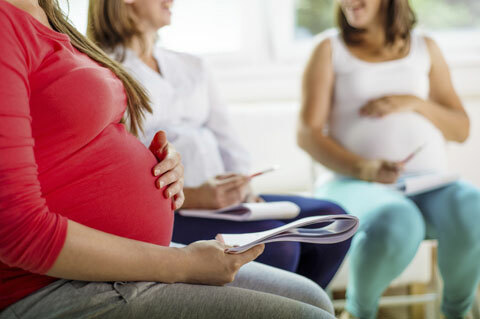 We hold one-to-one antenatal sessions which are informal and are there to help you understand what labour is all about and how to prepare for birth. The sessions are held in our parent and baby room close to the TPSP office. Each session is delivered by a qualified midwife who can answer all your questions professionally and confidentially. You are welcome to bring a partner, a parent, or a friend if you wish. We will also provide you with information about pain relief and relaxation techniques to help you cope during labour. It might be helpful to get to know the place where you plan to give birth ahead of time. If you are interested, we can give you a tour of the labour ward and maternity unit. This way, you will know where to go and who you are likely to meet when you come in to have your baby. You can bring along a partner or family member. What will you and your newborn need? Our antenatal sessions will answer any questions that you might have about looking after your newborn. We can talk about the everyday care of your newborn, including feeding, changing nappies, bathing and dressing your baby. You may be unsure about whether you want to breastfeed or bottle feed, we can discuss what’s involved and you can choose what works best for you and your baby. Antenatal sessions can be arranged following an antenatal appointment in the hospital, or at another time that suits you. Hospital antenatal classes are also available if you prefer, but you will need to book these early when you first attend the antenatal clinic.